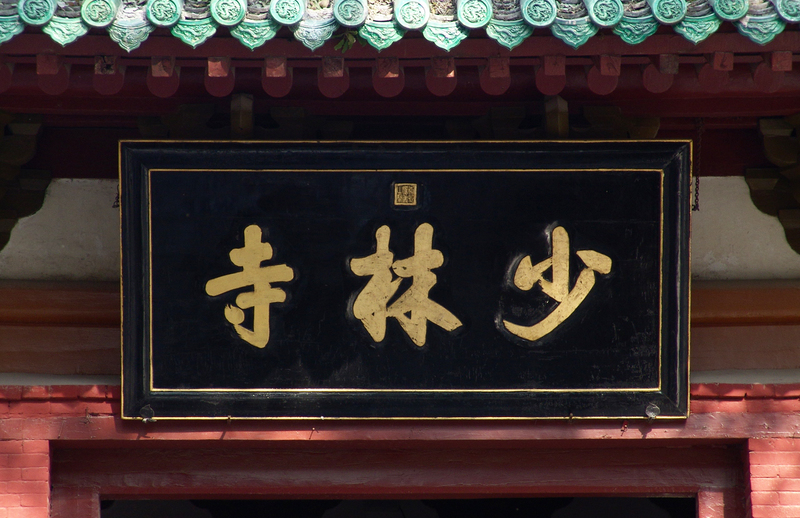 The Shaolin Temple (少林寺) is one of the most iconic and important temples in whole China. It is located in Dengfeng in Henan Province. In 2010 it was added to the UNESCO World Cultural & Natural Heritage Sites. It is considered the place of origin of Shaolin Martial Arts and Chan (Zen) Buddhism. This place is also filled with incredible natural beauty. According to the legend, he also developed the Shaolin practice as a set of exercises to strengthen and invigorate the other monks whose health was poor. These exercises later were mixed with the already existing martial arts becoming, in the end, the Shaolin Kung Fu that is still practiced today. The temple is located on the Central Sacred Mountain among the Song Mountains. Its period of major development and splendour was during the reign of the Tang Emperor Li Shimin who granted money and great wealth to the temple after some monks saved his life. Its development continued during the Ming Dynasty as well expanding up to the point in which it housed around 3000 monks. Its structure is quite complex. 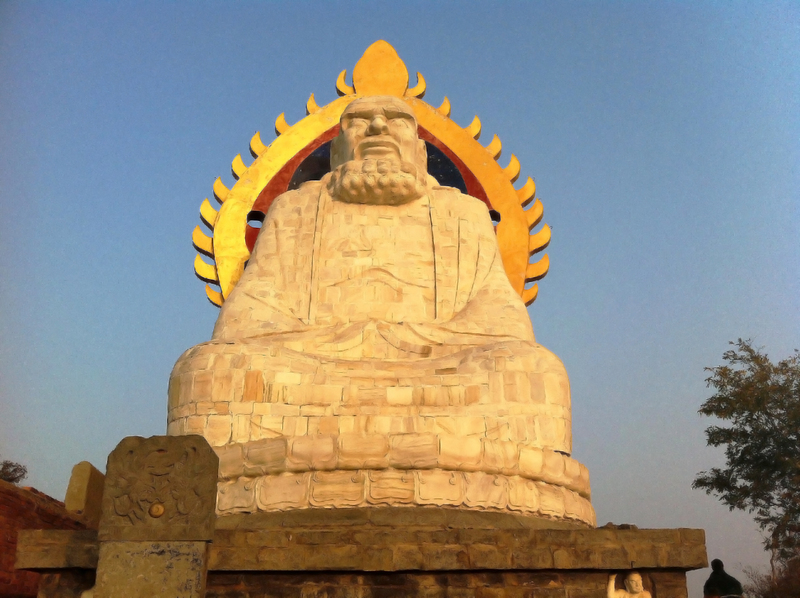 Within the temple, there are many attractions and traditional sites to visit, the Heavenly Kings' Hall, the Mahavira Hall, the Pagoda Forest, the Dharma Cave and a centre for Martial Arts training. All the important ceremonies are held in the Mahavira Hall. After this, there is the Pagoda Forest, where many Buddhist dignitaries were buried. 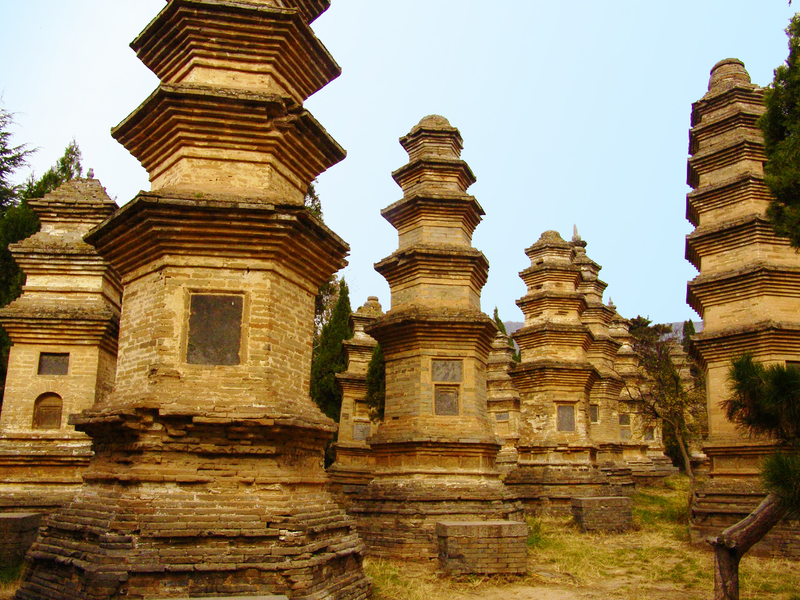 The site is the biggest pagodas complex in China and it is constituted by numerous structures on average 15 metres tall and changing, depending on the social status of the person. There are also two Ancestor's Monasteries, located outside the temple. The first in particular is an ancient structure built by the monks' disciples and constituted by a large hall with stone pillars finely carved. After the two buildings, there is the Bodhidharma Cave, where Bodhidharma, according to the legend, prayed for 9 years, after being refused entrance to the temple, he stayed in the same position for so long that his shadow remained outlined on the stone of the cave. It is also said that after this 9-year long prayer he reached a higher spiritual state so he was finally granted entrance to the temple and created the Buddhist Zen. Throughout the years up until after the fall of Qing Dynasty the Temple suffered damages and destruction and successive reconstructions. The temple's worst destruction happened when during the Qing dynasty some Ming loyalists were found taking shelter in the temple and had to flee and scatter in different regions. There are still areas being rebuilt today. 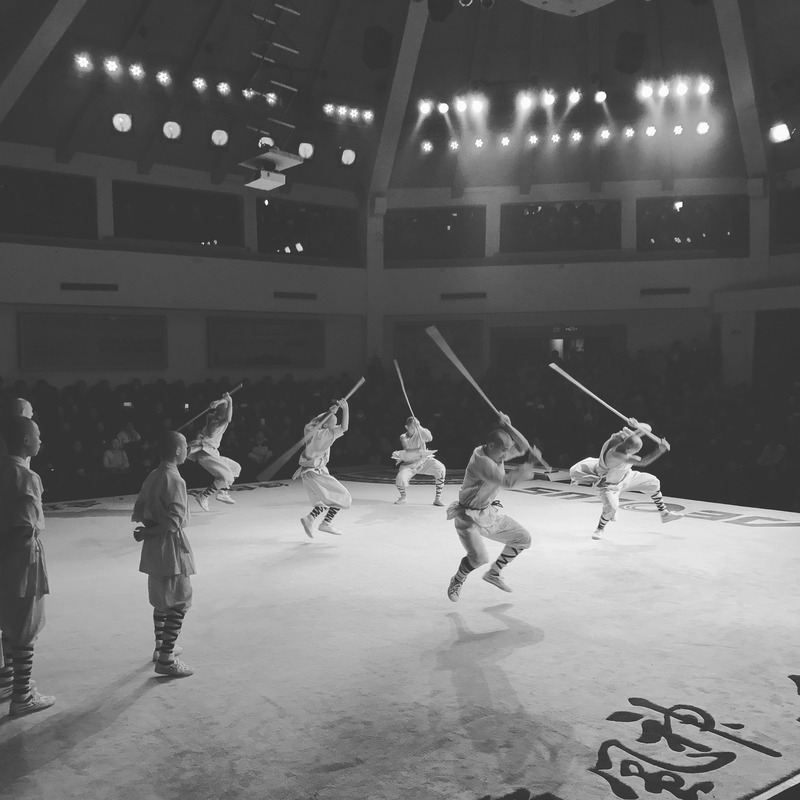 As for the Shaolin kung fu, the temple is still active today where hundreds of children starting from around the age five are sent to learn and develop amazing skills. The Temple is easily reachable from different cities around, such as Dengfeng, Zhengzhou, Luoyang and it is opened during the whole year. The entrance tickets are just RMB110. Even if you are not a Kung Fu enthusiast, just for its historical value and fascinating locations The Shaolin Temple is absolutely worth being included in a tour of China. If you are interested in visiting Henan, this year you can explore its ancient historical sites while practicing a number of interesting activities (music, cookery, sports, calligraphy and more). Check our School Summer Camp or Contact us for info or tailor-make your ideal itinerary. Learn interesting and useful insight on this great Holiday!